Brian Kelly is a career programmer who spent 12 years in Chicago at widely-recognized radio stations such as WLS, Z-95 and WTMX. 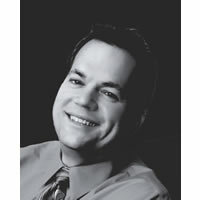 He went on to serve as VP of Programming for the syndicated radio company, Major Networks, which counted more than 200 affiliates and was the home to formats like SuperHit Country and Adult HitRadio. Kelly has spent the last 23 years in Milwaukee, WI at KISS-FM, The Mix and The Fan as well as holding the post of Head of Top 40 Programming for Entercom.